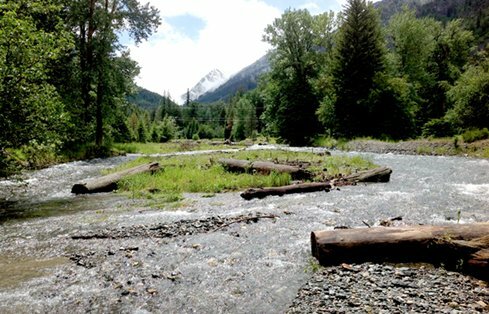 The project aims to restore normative river conditions along the Wallowa River upstream of Wallowa Lake to support kokanee salmon and bull trout. GeoEngineers’ design of the downstream alluvial fan included the addition of perennial side channels. GeoEngineers worked with many stakeholders, including Wallowa State Park at the downstream end of the project reach. Designs included aesthetic features and learning opportunities for park visitors, and protections for existing park areas. Photo by Kurt Mohs (CC BY 2.0). Carefully considering the interests of many stakeholders helped GeoEngineers deliver a river restoration that satisfied the county, state and private landowners. Wallowa Resources is a community organization dedicated to responsible natural resource management in Wallowa County, Oregon. 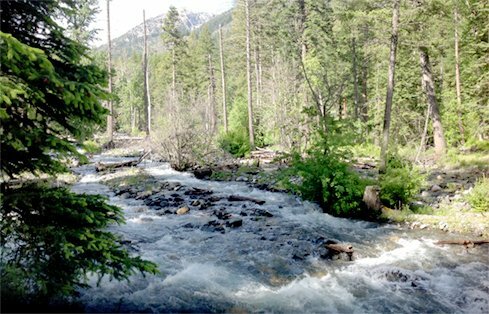 They spearheaded a community effort to restore normative river conditions along the Wallowa River upstream of Wallowa Lake. 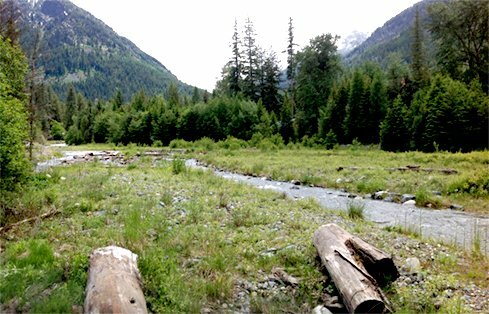 A restored riverine environment would support kokanee salmon and bull trout, enhance the natural appearance of Wallowa State Park and reduce the risk of flooding and lateral riverbank migration for private property owners. To develop a river restoration plan that would satisfy the many project stakeholders, GeoEngineers coordinated with a number of groups including the Oregon Parks and Recreation Department, Nez Perce Tribe, Oregon Department of Fish and Wildlife, Oregon Department of Transportation and other community interest groups. The final designs included considerations of the existing lake operations and future development plans that may raise the water level by up to 10 feet, and planned for aesthetic features and learning opportunities for visitors to the state park. Over a total project length of approximately 1.5 river miles, GeoEngineers’ design included four distinct project reaches that ranged from an alluvial fan at the downstream end, to a confined channel with failing banks at the upstream end. The downstream alluvial fan reach featured a restored mainstem channel (geometry and habitat structures) and the addition of perennial side channels geomorphically appropriate for an alluvial fan setting. Working around existing infrastructure presented some challenges. Because the historic fan is bisected by a state road, the entire river channel had been routed under a single bridge. This approach significantly altered natural geomorphic processes and reduced the availability of spawning habitat for kokanee salmon. To solve this problem, GeoEngineers’ team designed an additional bridge crossing for side channel conveyance through the fan. 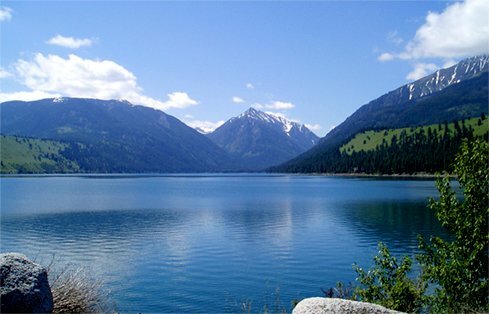 The team also had to design a plan to protect Wallowa State Park camping sites, relocate certain parking areas and maintain an emergency egress route out of the park. By carefully considering the interests of all stakeholders and designing around existing infrastructure, GeoEngineers delivered a river restoration plan that satisfied the county, state, and private landowners. These bioengineered solutions will simultaneously help protect eroding banks while providing instream and riparian habitats for important fish populations.